Known to some as laser-assisted new attachment procedure (LANAP), the procedure uses a small laser to go in between the gum and the tooth to remove diseased or infected parts of the gum from the underlying connective tissue. Below is an informational video on Laser Gum Therapy presented by Dr. De Andrade. For more information on laser gum therapy or to schedule and appointment, please visit our website. A New Way To Treat Gum Disease. If you were to ask anyone how they felt about going to their dentist for gum disease treatment, most would tell you it was extremely painful and took a long time to heal. This may have once been true since the only way to remove the damaged and infected tissue was to surgically cut it away. This left a large open wound that often required stitches to close and weeks to heal. At Anthem Laser Gum Therapy, this procedure is no longer used for every patient with periodontal disease. As with many other aspects of modern life, dental treatments such as those for gum disease have been affected by the rapid advancement of technology. Today your dentist is more likely to eschew the old school scalpel in favor of a powerful, highly focused laser. While this form of gum disease treatment has actually been in existence since the early 90’s, it is only in the past few years that it has come out of relative obscurity. 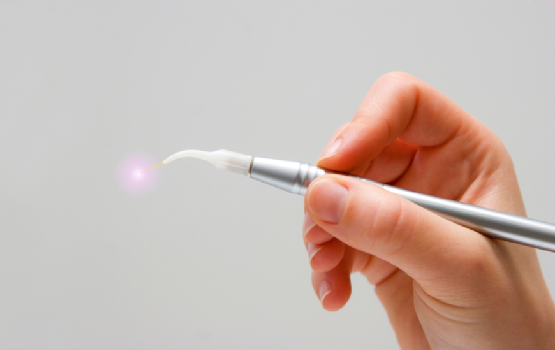 During the past few decades a number of different lasers have been developed for use in the treatment of gum disease. However, to date only one has received FDA approval for use in treating periodontal disease. The type that has been approved is the PerioLase as it not only has the best properties of any laser currently developed, but also has a long proven track record of success. When you come in for laser gum disease treatment, a fiber approximately the diameter of three human hairs will be inserted under the infected gum tissue beside your teeth. A narrow-wavelength laser pulse is applied to the damaged tissues, destroying damaged tissue, killing bacteria, and making the calculus (tartar) easier to remove from your tooth. The laser removes all signs of infection and bacteria, it then cauterizes the wound leaving behind nothing but healthy tissue. The dentist then rinses all debris out of the area to allow for healthy gum tissue to reform and seal to the tooth. The net result is a successful gum disease treatment that removes all traces of the disease and leaves you with healthy teeth and gums. Unlike your baby teeth, which you probably started loosing around age five, your adult teeth are meant to last the rest of your life. Unfortunately, this sometimes isn’t the case, and there isn’t a fairy that is going to leave money under your pillow if an incident causes you to lose one of your permanent teeth during adulthood. 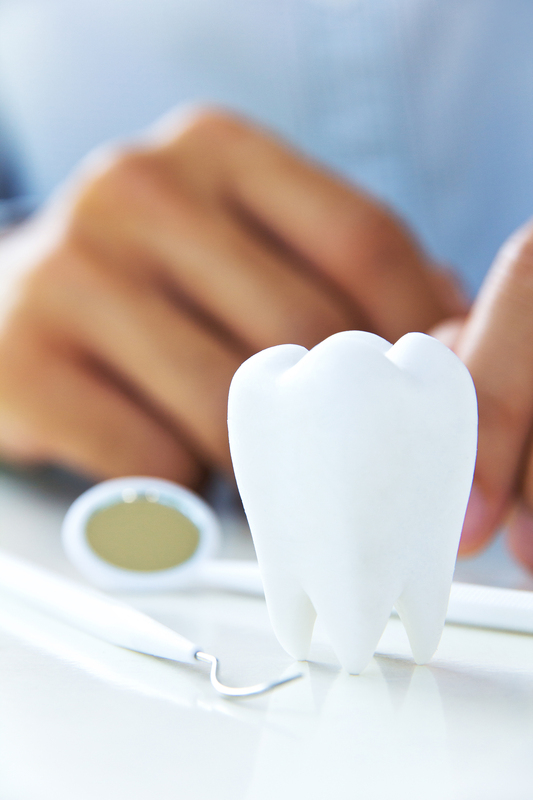 What Are Some Reasons That You May Require a Tooth Extraction? 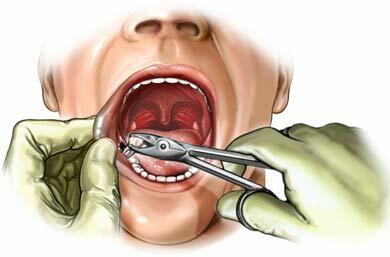 The most common cause of tooth extraction is severe damage, either because of trauma or tooth decay. When one of your teeth becomes cracked or rotted, there is a good chance of an infection occurring. When this happens, you will most often require a root canal and be prescribed antibiotics to prevent the infection from spreading. Sometimes, the problem begins in the gums versus the teeth themselves. If you have severe gum disease, which is nothing more than a chronic infection of your gum tissue, then your teeth may loosen and a dentist may decide that it’s best for some of them to come out. The last major reason that a dentist may decide to pull some of your teeth is if they are too crammed together. Crowded teeth can cause jaw pain and headaches, and if you are going to be attempting to straighten your teeth with the help of an orthodontist, your dentist may pull a few to give your mouth a chance to straighten out. Is it Okay to Attempt to Extract a Tooth Yourself? Attempting to pull a tooth yourself could potentially be very dangerous. A periodontist is a dentist who has spent three years in postgraduate specialty training, and they are the only people who should ever perform an extraction. By visiting a licensed professional, you lower your chances of experiencing unneeded pain and complications. Missing teeth can be discouraging for someone, regardless of age. Teeth are a large part a person’s day. Everyone uses his/her teeth to talk, eat, and convey emotions like smiling. Losing one more teeth will affect the way in which a person communicates and behaves. Self confidence is altered, smiling is masked, and one does not feel quite like him/herself when teeth are missing. This is true from young teenagers to adults of any age. When loss of teeth is experienced due to tooth decay, injury, or any other reason, it is wise to visit an experienced and trusted periodontist who will offer his/her expertise and discuss a solution. This Casting Is Used Around Our Office To Demonstrate To Patients How The Implant Is Placed. One solution that offers amazing results in a quick manner is dental implants. Dental implants have a long list of advantages that will demonstrate its effectiveness as a method of replacing natural teeth. For starters, dental implants are the closest to natural teeth as dentists can provide patients when it comes to tooth replacement. The implant functions much like a natural tooth, as well. The implants allow patients to maintain their facial bone and facial structure because they are directly implanted into the bone. 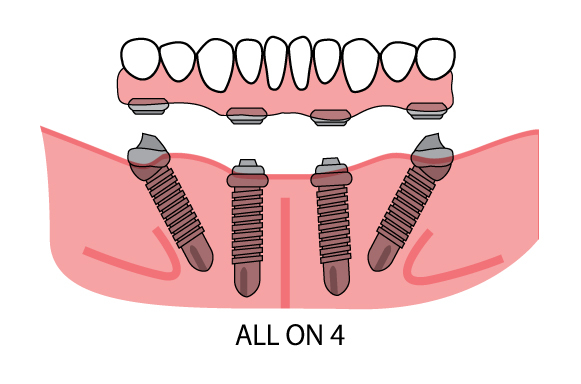 The implants are affixed to the jaw bone allowing the tooth to convey chewing force to the surrounding bone. The implants can be inserted at the very time the natural tooth is removed resulting in little recovery time. The implanted tooth or teeth look, feel, and function like regular teeth. The titanium material of the implant makes the teeth durable for years to come. Patients are able to eat, chew, and speak with no pain or discomfort. There are no limitations on foods because the implants are anchored into the bone, so there is no concern about tooth weakness. Patients do no have to worry about adhesive to hold teeth in place or worry about the teeth falling out while eating or speaking. Along with no adhesives to worry about, patients do not have to worry about removing the teeth to clean and preserve them. Implants require typical teeth cleaning. Implants simply require brushing twice a day and flossing. The natural feel and look of the implants provide patients with their confidence again. They do not have worry about an embarrassing moment because their teeth slipped out of their mouth. Plus, they can live their life with no hesitation. Dental implants can provide all of this to patients with one or missing teeth. A periodontist is a specific type of dentist that is educated in diagnosis, treatment, and prevention of periodontal disease. They are also well versed in dental implants and other forms of cosmetic dentistry. This type of dentist also specializes in the treatment of oral inflammation. They attend an extra 3 years of advanced schooling, on top of dental school and receive intense training, in the areas of the mouth they specialize in. When someone is need of information about how to prevent periodontal disease, or maybe they need a cosmetic periodontal procedure, this is the doctor that they will want to see. Importance of oral hygiene to avoid a periodontist. It is very important to have good oral hygiene. We need to protect all elements of health and the functioning parts of our mouths, most important our teeth and gums. Our mouths need to function properly so we eat, speak, and look good. Without the proper hygiene for our mouths, we are open to tooth loss, bad breath, and inflammation of the gums. No one knows this better than the professionals at Anthem Periodontics and Dental Implants. The most common ailment, associated with bad oral hygiene, is tooth decay and cavities. Remember too that our overall health is linked to our the health of our mouth and teeth. When we have a healthy mouth, so we are able to speak better, and are able to chew and swallow correctly without pain or consistent issues. When an individual has poor dental health, it can affect their speech patterns and when the look of our smile is affected it can lead to lower self esteem. It can also lead to dental implants, and other costly cosmetic dentistry procedures. The great news here is that many issues can be reversed. You simply need to take the steps to maintaining your oral health with proper regular brushing and flossing. Cheers to your oral health! 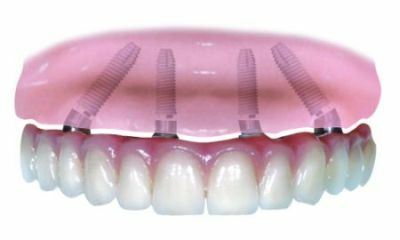 The Implant Replaces the old way of “Bridging” and does it very close to the natural way of your teeth. 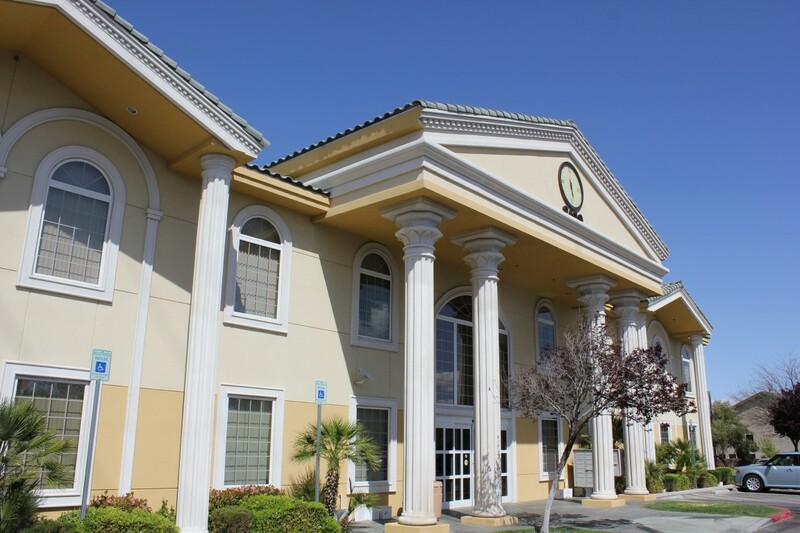 The Las Vegas Dental Implant Center located at Anthem Periodontics and Dental Implants. Anthem has been placing implants since early 2000 in Henderson, NV a close suburb to Las Vegas and now has a second location in the Summerlin area of Las Vegas. Featuring state of the art equipment, committed participation in the leading professional organizations pioneering tomorrows dental care and consistent ongoing education for its employees, Anthem ensures its patients that they are using the best available treatment methods.